It’s always exciting for me to try different cross training for runners workouts. 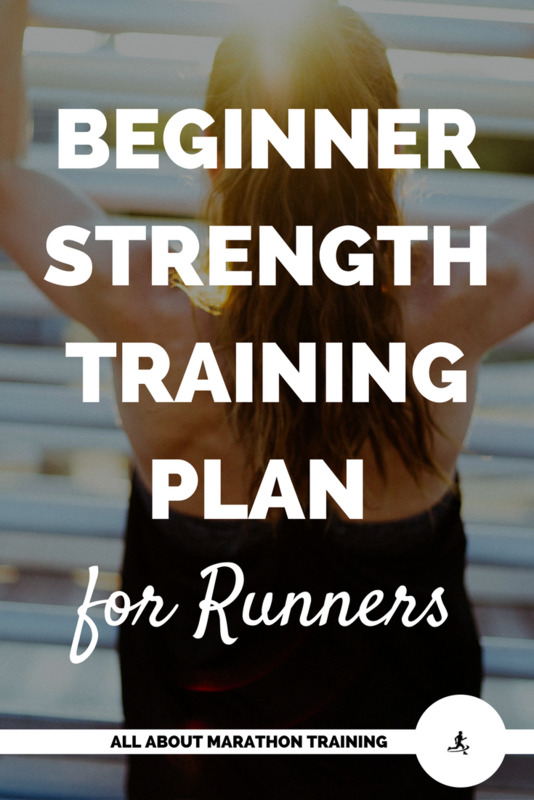 I love the variation that it adds to the typical running routine and how you can really mix it up so that you are doing workouts that you enjoy! During the winter months and the times that I need to do my cross training workout at home I love using YouTube to get a fun workout in! Because of that I have a bunch of different videos that I find myself going back to and using and I want to share them with you! 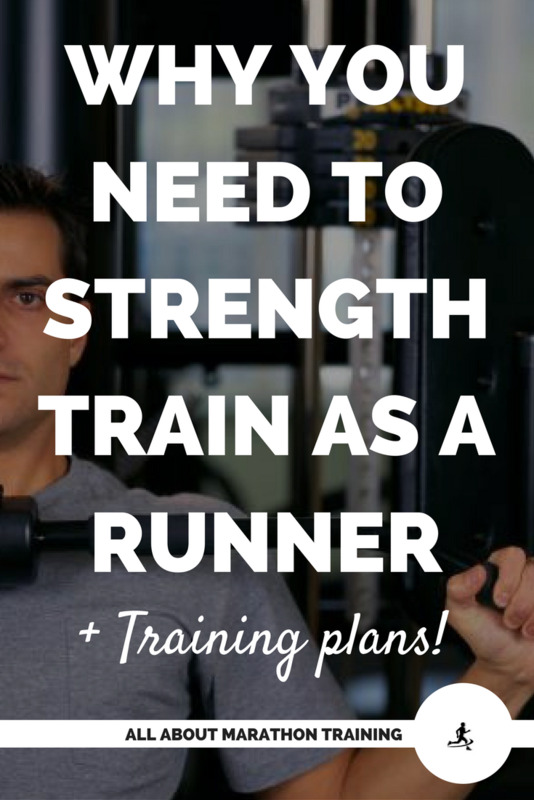 These are all full length workouts that make for effective cross training workouts for runner! Many of these workouts focus on building upper body strength. We do not use our upper body particularly are arms, shoulders, and back so targeting these on a cross training days is ideal! We should be focused on pulling in our abs during our runs but with all the other aspects of form it can be hard to remember. You can work your abdominal muscles pretty much at every workout and in fact you should since you need them strong as runner and even just for every day living! So many of these workouts will include abdominal exercises. A big reason why I’m excited to share these videos with you is that now I will have a resource list for myself! So go ahead and bookmark this page and come back to it when you need to get in a great cross training workout at home! 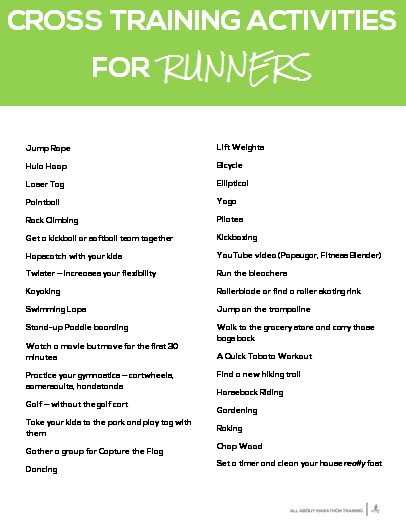 Also, grab this FREE cross training activities list for runners to keep your routine fun and full of variety! Send my Cross Training Activity List here! Alright! Let’s get on to my YouTube workout favorites! I always recommend Jessica Smith because of how versatile her workouts are! They were perfect for me while I was pregnant but they can also give you a killer workout by modifying the moves to make it higher intensity so I go back to her all the time! With any workout, the faster, bigger, and lower (Except with the arms since raising your arms above your head will always increase intensity) you go with the movements the higher the intensity level will be. Most of her workouts are “walking” workouts so great for beginners and those who want something with low impact especially after all of your high impact running days. My grandma who is in her seventies actually introduced me to Jessica Smith on YouTube and she works out religiously. #goals Jessica Smith also incorporates a lot of strength in her workouts and you can get a great total body strength workout in under 20 minutes. Another favorite is her Stride and Strength which incorporates low impact cardio with strength training! So total body with a mix of different movements. Fitness Blender has always been a favorite of mine. I love the simple formatting and also the fact that you get to choose your own music since they do not use any but still coach you through their workouts. This is a good 33 minute HIIT workout as it works different energy pathways (anaerobic versus running aerobically) but it also includes many functional exercises for runners! PopSugar has so many different workouts for you to try that are always fun and different! They show you modified versions and really stick with you when the workouts get tough! 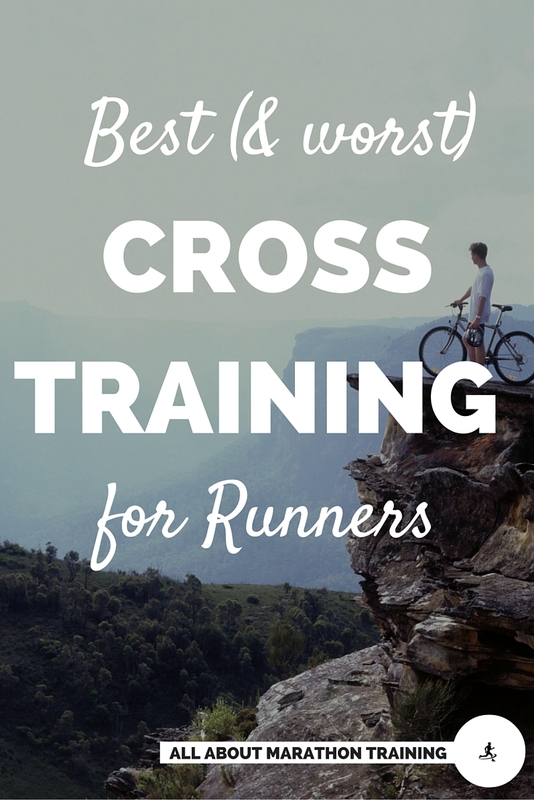 Here are some good cross training videos that I like to do with them! Great video to warm up with before doing strength training since it’s low impact and uses different muscles than running so a different cardio workout. This is a great workout for a cool down or to do after short runs or even to tack on the end of a strength workout or cross training workout. Do not be afraid to work your abdominal muscles at every workout! - This yoga routine builds strength, increases your flexibility and focuses on lengthening your muscles! As runners we are constantly contracting our muscles over and over and over again. Doing a yoga workout on your cross training day will give your muscles some reverse action! Swimming is an excellent cross training workout for runners! Here are several different swimming workouts that you can do that are geared specifically for runners! 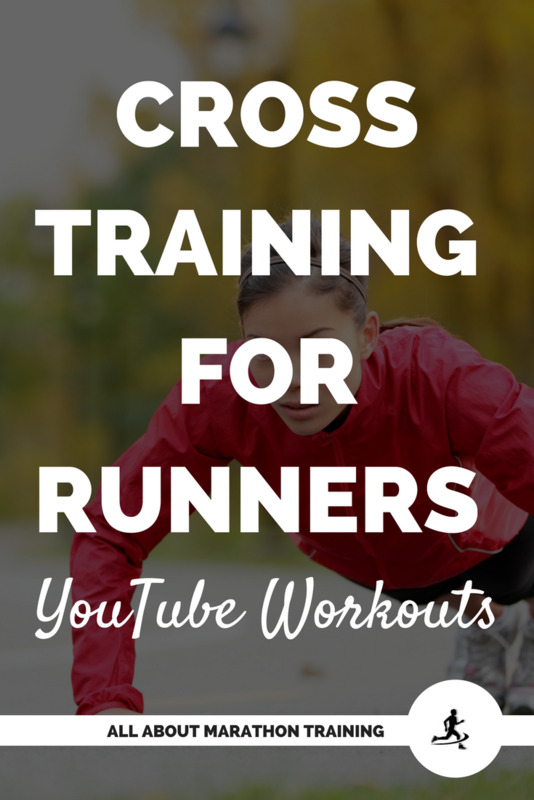 This is a great cross training for runners workout with a fun perspective of another runner. I would say that it is more of an increasing and decreasing pyramid workout which is challenging. which will challenge you! It’s good for a beginner but definitely also intermediate level! You can adjust the intensity level for yourself. It includes lateral movement which runners need! Overall it’s a great workout! It’s just long enough, can be modified and features a friendly coach! Alright, now I have to ask you….what’s your favorite cross training video on YouTube! I want to try it out!